Abu Dhabi-based Etihad Aviation Group has confirmed that president and CEO James Hogan will step down from his role in the second half of 2017. The company’s board first initiated the transition process last year with the formation of the Etihad Aviation Group in May, a statement said. Hogan, who was previously president and CEO of Etihad Airways, served the company for 10 years. He will now join an investment company along with Etihad Aviation Group CFO James Rigney, who will also leave the company later this year. A global search for a new group CEO and CFO is already underway, the statement added. Hogan’s departure was first reported by German business paper Handelsblatt Global last month. Read: Abu Dhabi’s Etihad to dismiss group CEO James Hogan? It was unclear whether the reason for his departure was a “failed spree of acquisitions in Europe” as the publication suggested. Hogan oversaw the airline’s equity partnership strategy that saw it acquire takes in Air Serbia, Air Seychelles, airberlin, Alitalia, Etihad Regional (formerly Darwin Airline), Jet Airways and Virgin Australia. The former CEO’s legacy will be favourable, opined Dominic Ellis, editor of Business Traveller Middle East. “He didn’t turn around airlines like Gulf Air by skirting difficult decisions and at Etihad, he was very much the public face of the airline, and latterly, group, as the business expanded globally,” he said. “Without doubt, Etihad has shaken up global aviation as one of the fast-growing ‘Gulf three’ and its fleet and global network have all grown under Hogan’s watch. “On the business side, observers will reflect on Etihad’s twin strategies’ of building codeshares and buying equity stakes. The codeshare model has driven traffic onto Etihad planes and through Abu Dhabi International Airport but some may question whether pursuing so many partners, more than 40, has been universally beneficial and yielded revenue benefits. The investment in the Etihad Partners has also been problematic with AirBerlin and Alitalia underperforming. “The departure of Rigney is significant, as it shows the board may want to start again with a clean slate,” he added. The state-owned aviation group has been restructuring operations after being hit hard by reduced corporate travel linked to lower oil prices. Last year it confirmed that jobs would be cut. Mohamed Mubarak Fadhel Al Mazrouei, chairman of the Etihad Aviation Group said: “The board and management team will continue an ongoing, company-wide strategic review. We must ensure that the airline is the right size and the right shape. Last month, Etihad Airways also revealed plans to create a new European leisure airline group in a joint venture with TUI AG. A new codeshare agreement with Lufthansa and an aircraft leasing agreement between airberlin and Lufthansa were also announced. As a minority shareholder, Etihad is also participating in the next phase of Alitalia’s restructuring plan. Its management team now includes Peter Baumgartner, CEO, and Richard Hill, COO, of Etihad Airways; Bruno Matheu as CEO of Airline Equity Partners; and Jeff Wilkinson as CEO of Etihad Airways Engineering. Darren Peisley is acting managing director of Hala, the company’s destination marketing and global loyalty unit. 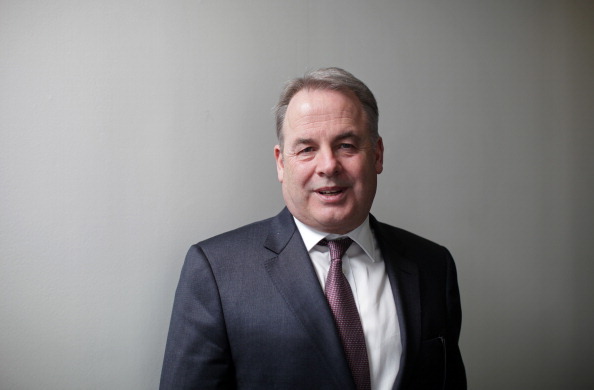 The newly created Etihad Airport Services unit is being led by managing director Chris Youlten.